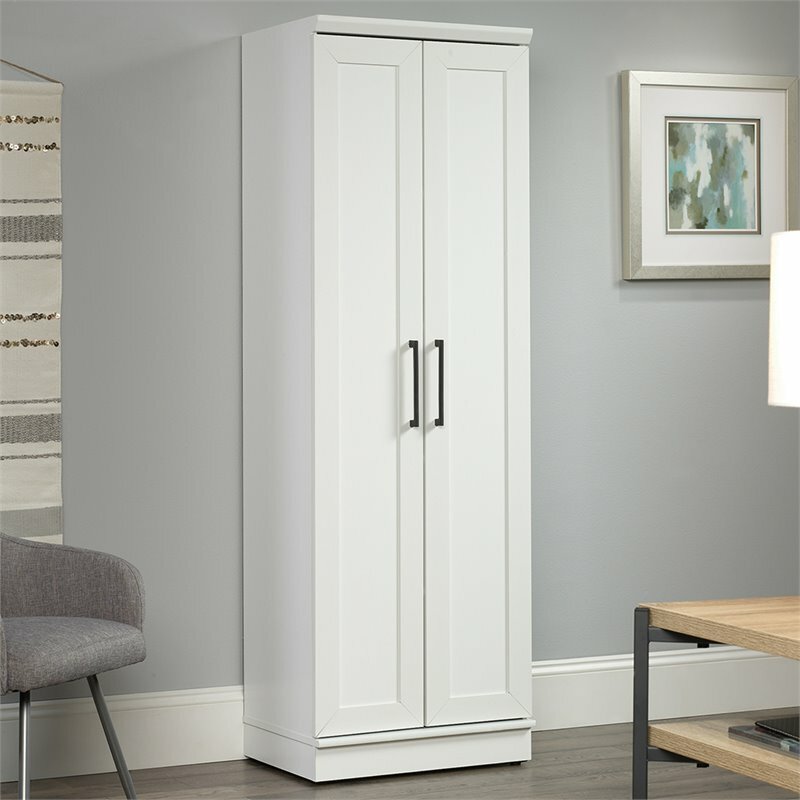 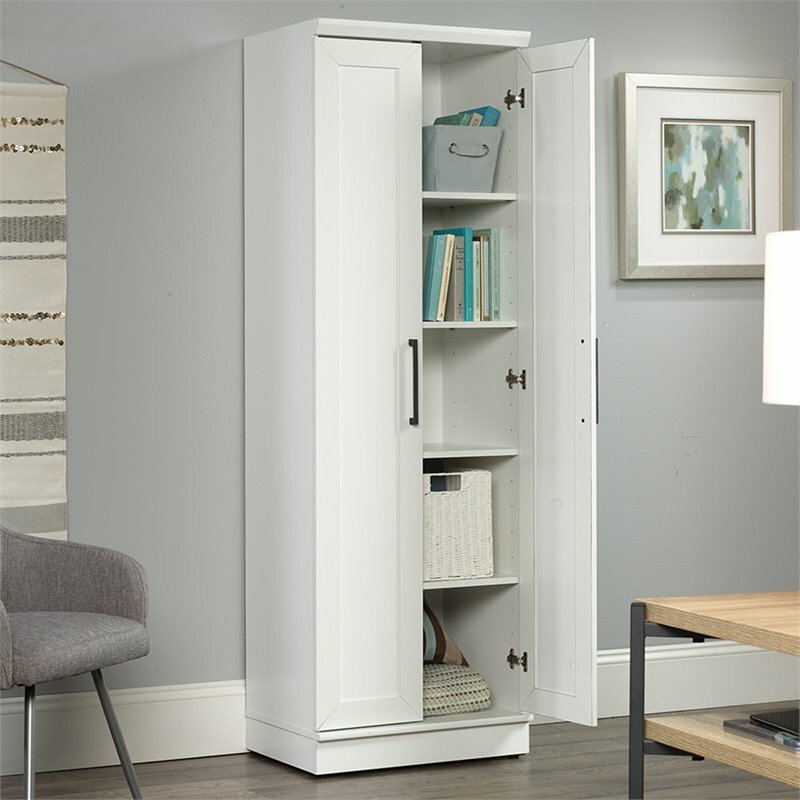 No need to sacrifice style for storage when you can have both with this storage cabinet from the Home Plus collection. 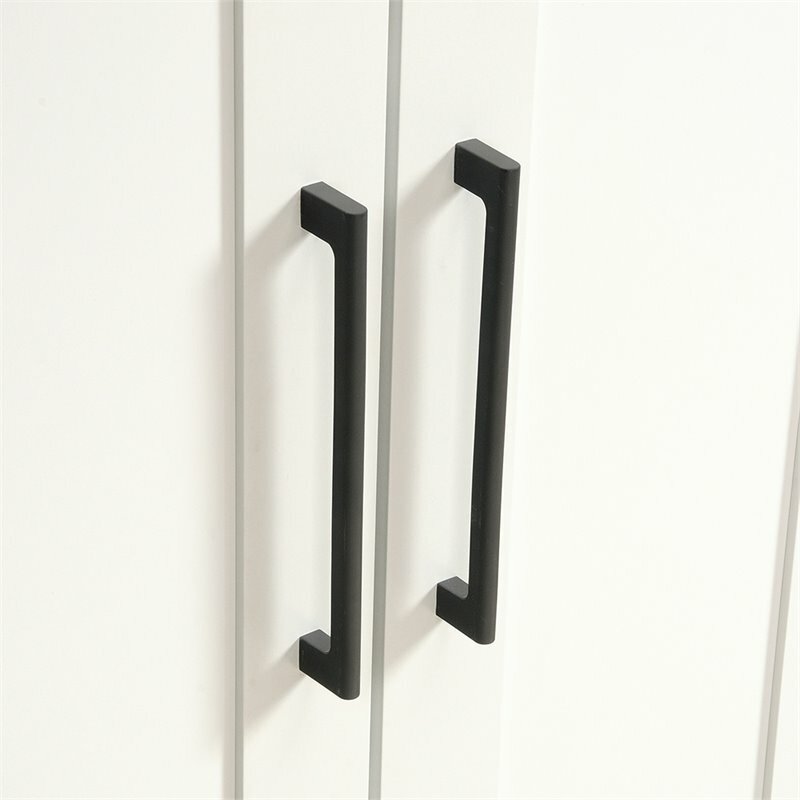 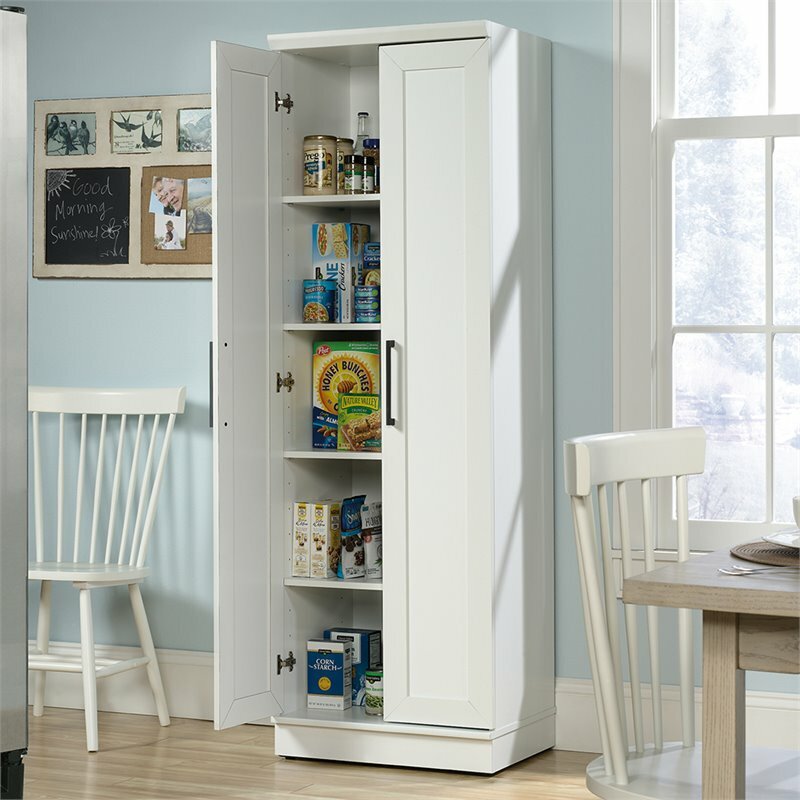 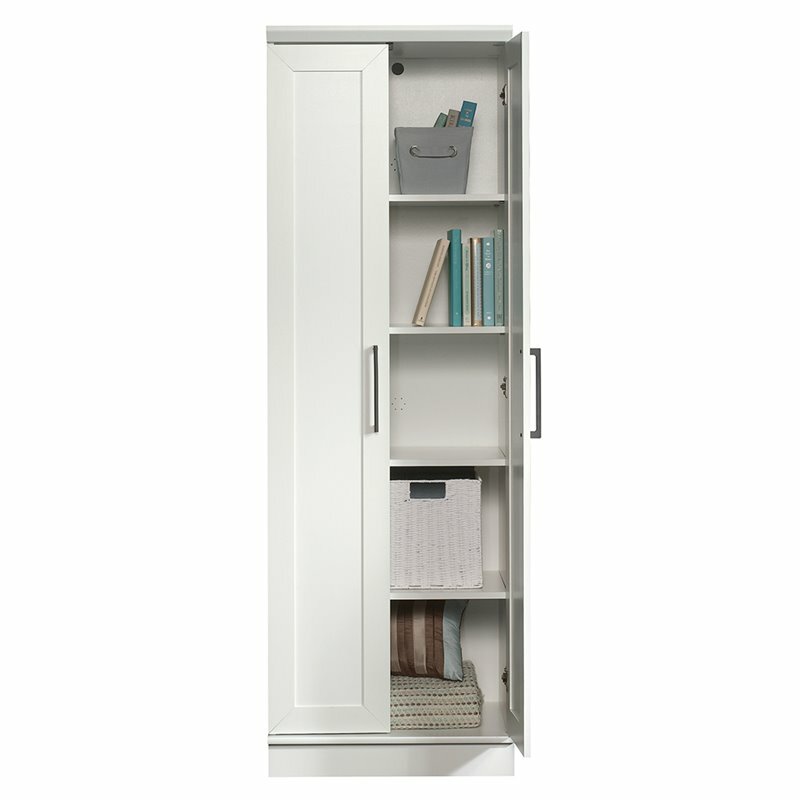 Behind its framed panel doors, it features four adjustable shelves so you can stow away all your clutter and mess. 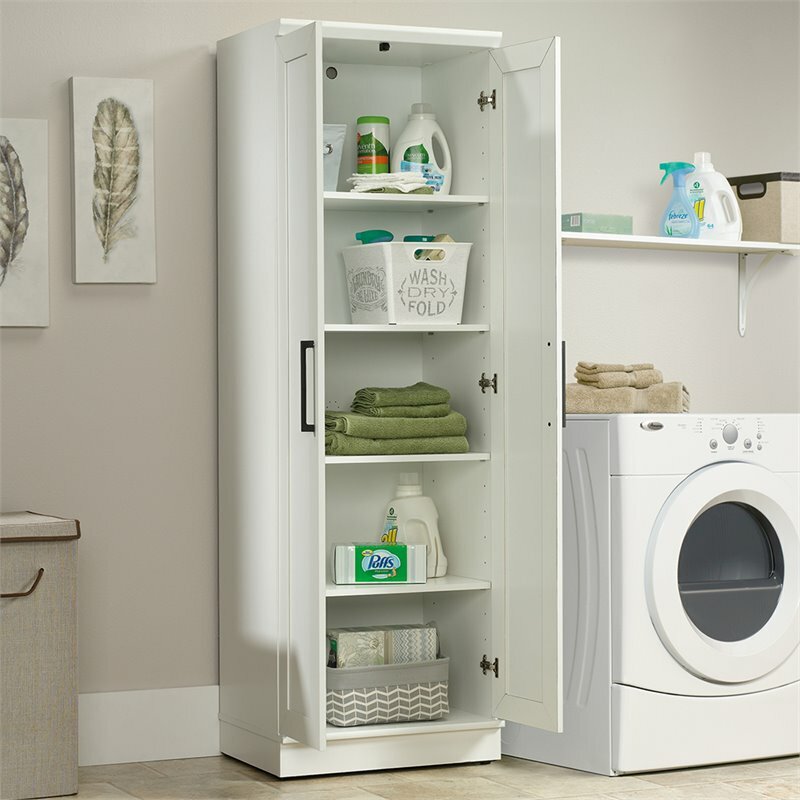 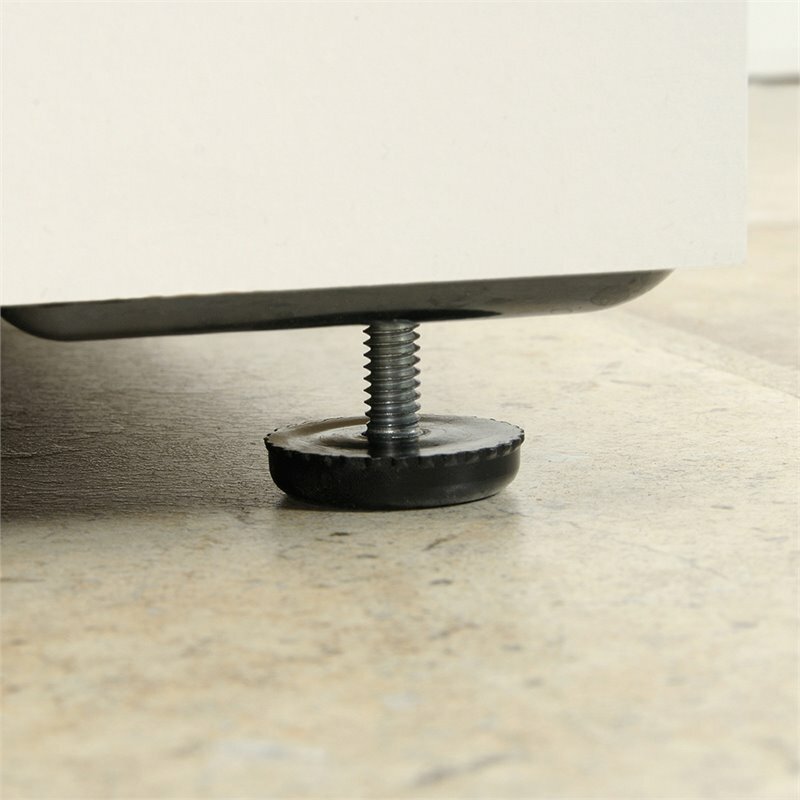 Other features include an enclosed back panel with cord access and adjustable base levelers. 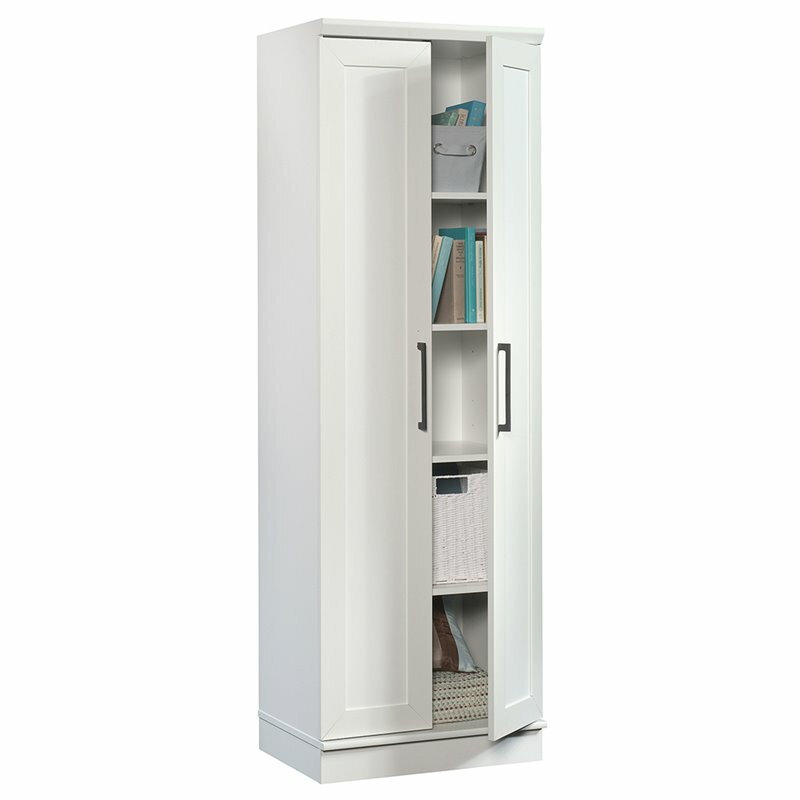 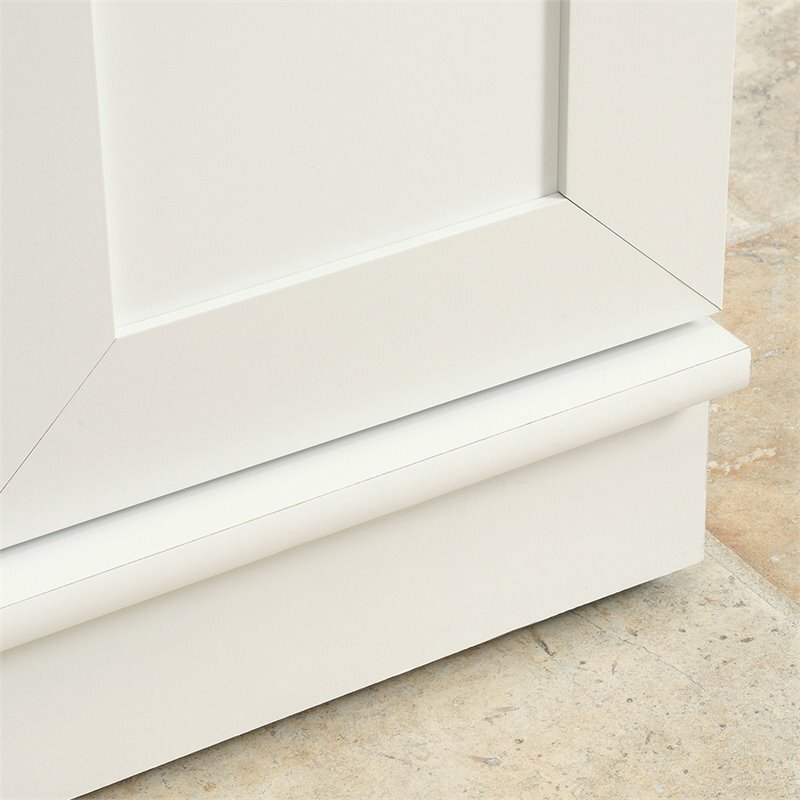 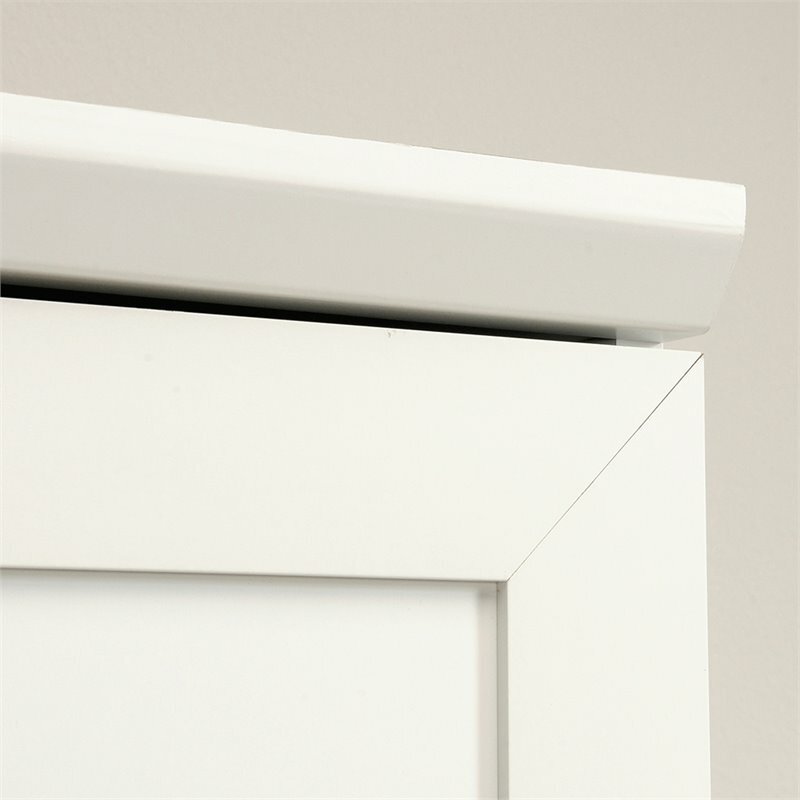 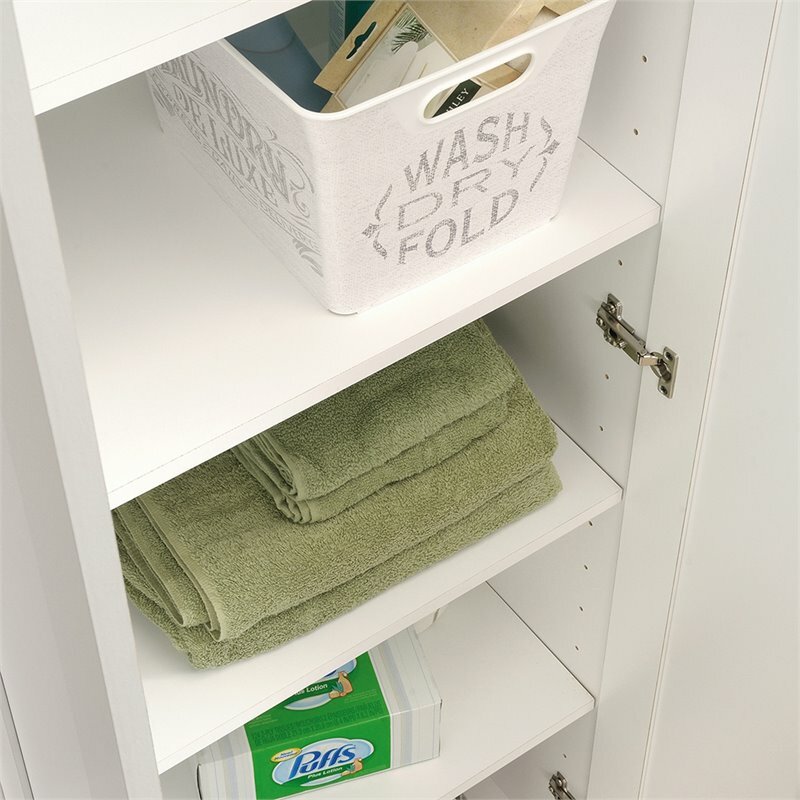 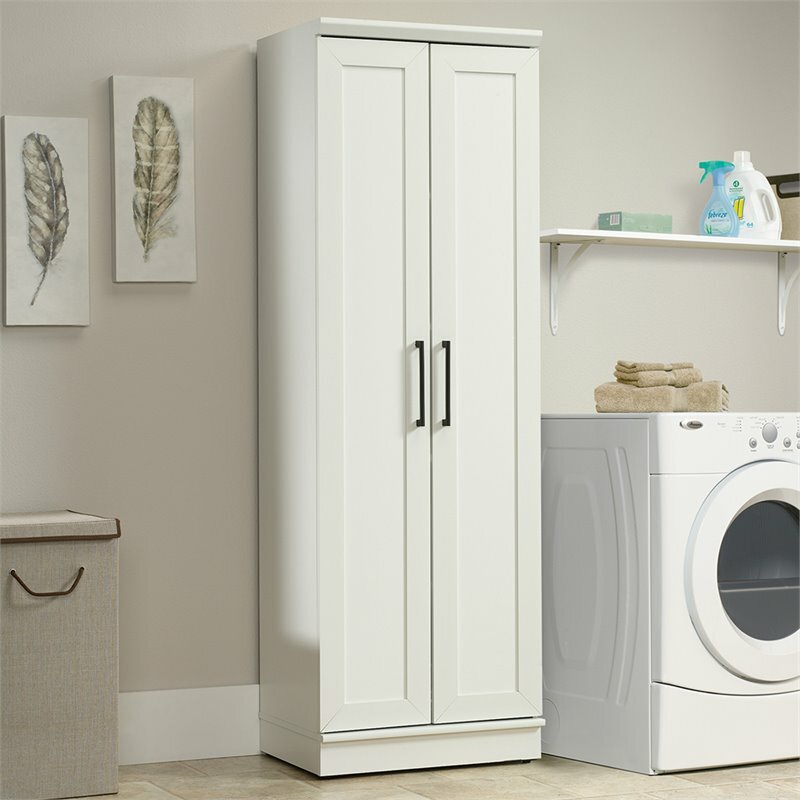 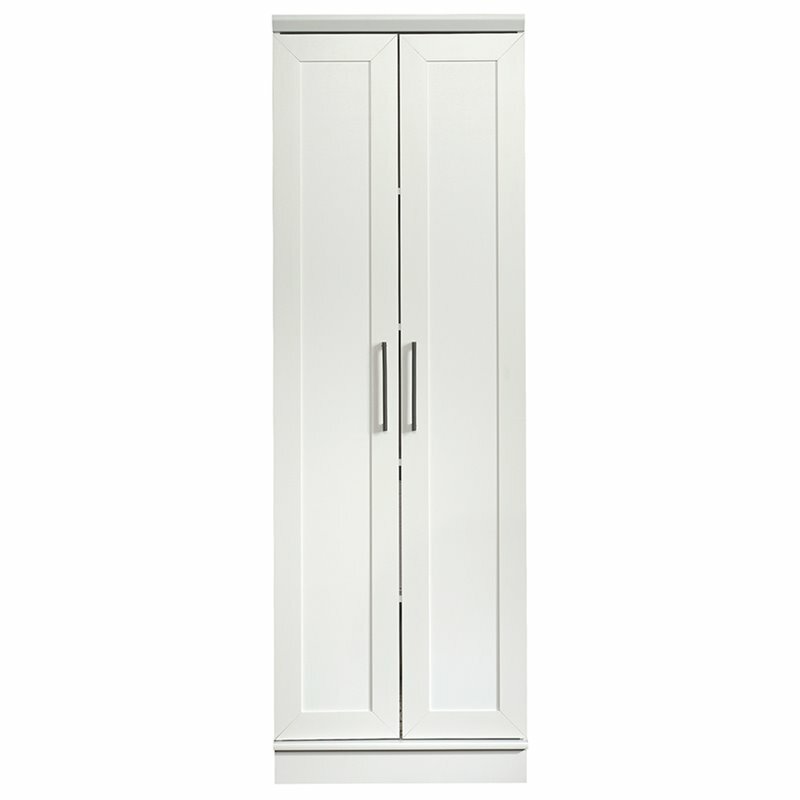 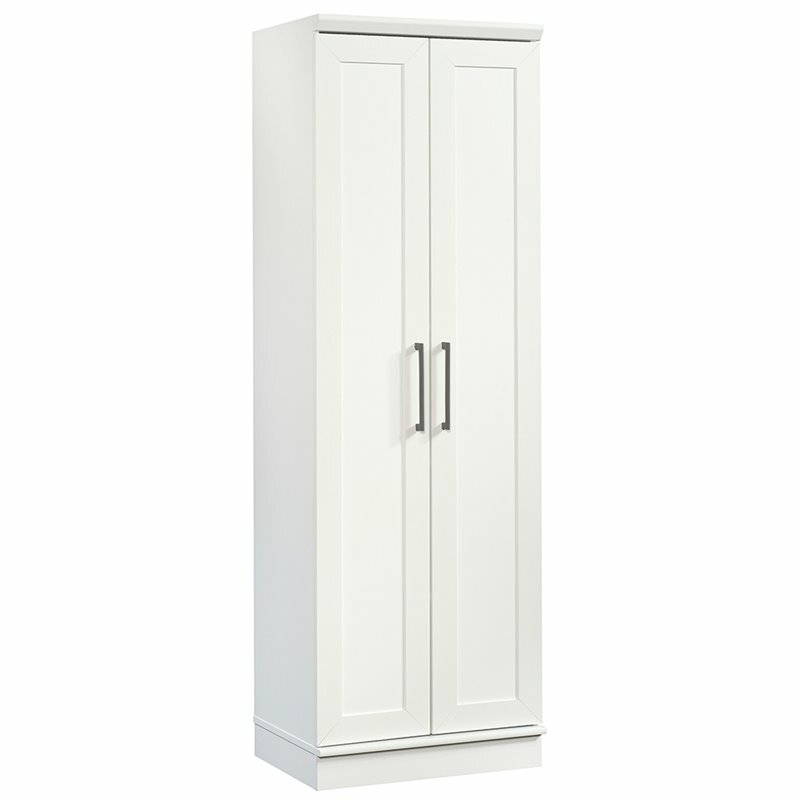 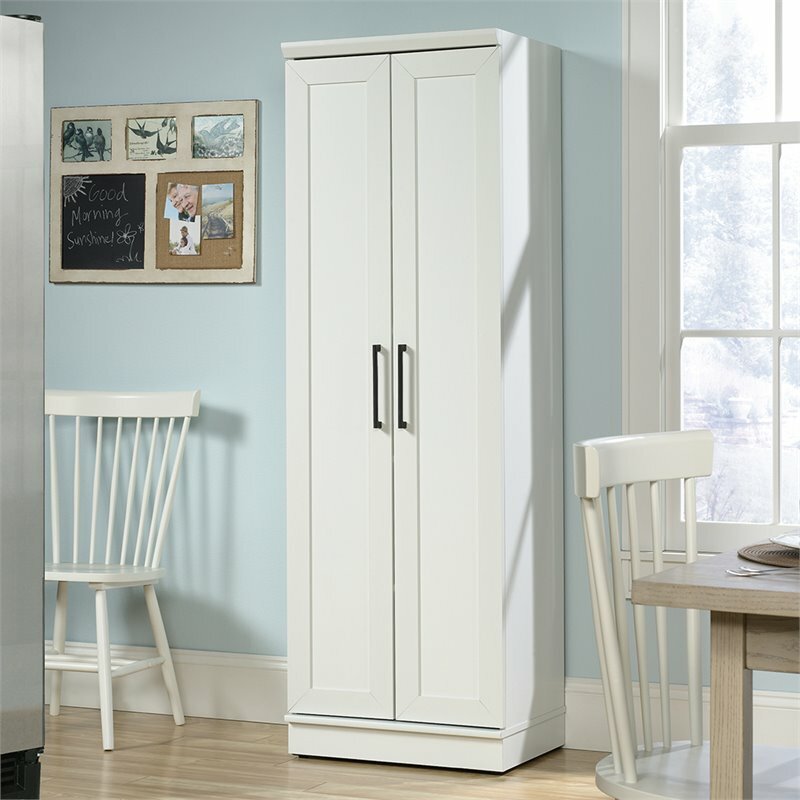 Finished in Soft White, this sleek cabinet will look good and get you organized in a snap.